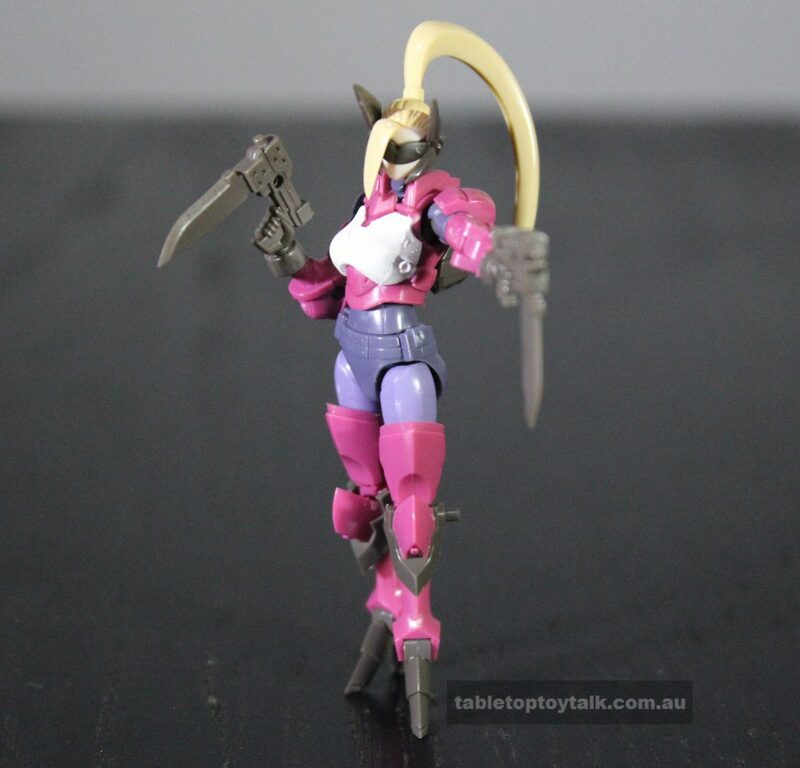 We’re venturing into some more model kit territory for the table top this time around. 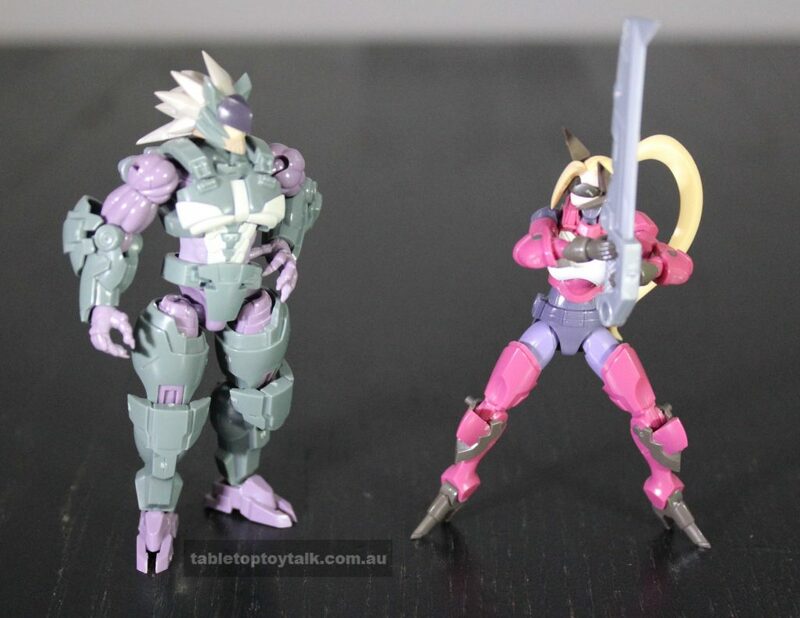 Here we have two figures from Kotobukiya’s Hexa Gear line – Rose and Zoanthrope. 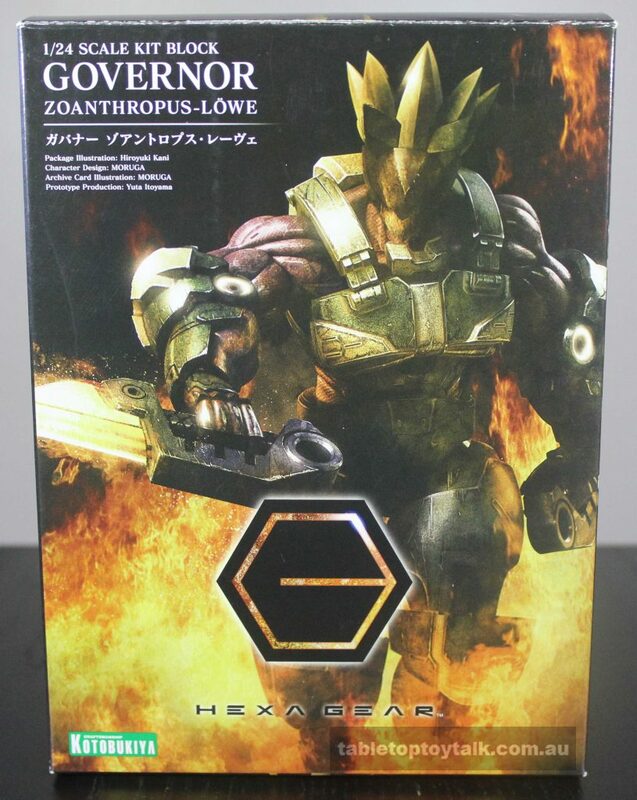 The Hexa Gear line features different robotic style vehicles and figures that come in model kits that need assembly. 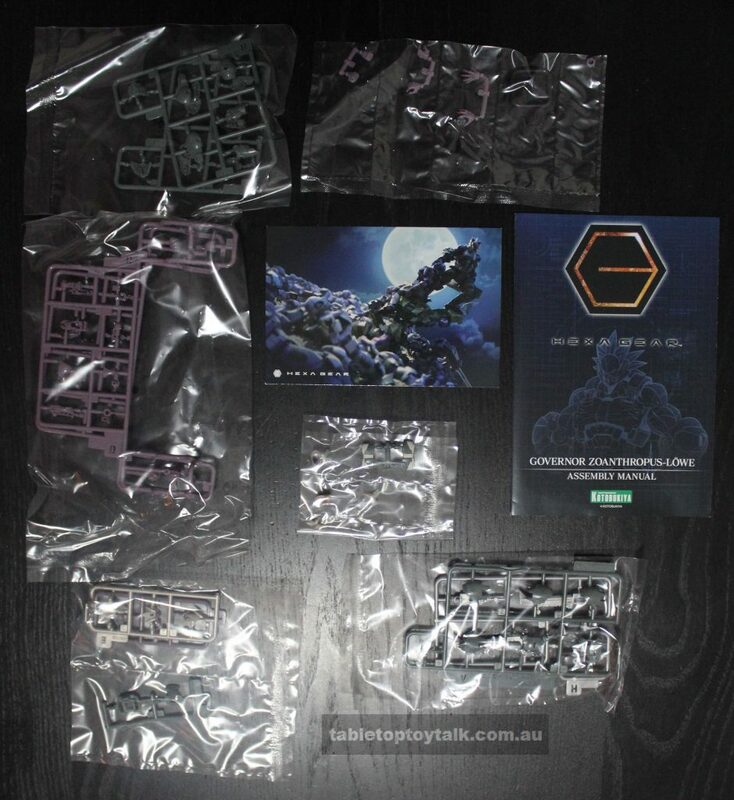 With most model kits these days, it’s possible to have completed kits that look fairly decent but to get the most out of the end result, you’ll have to apply paint and decals. The two figures I have here are the Governor types, and they are the figures that can be used as pilots/drivers for the Hexa Gear vehicles. 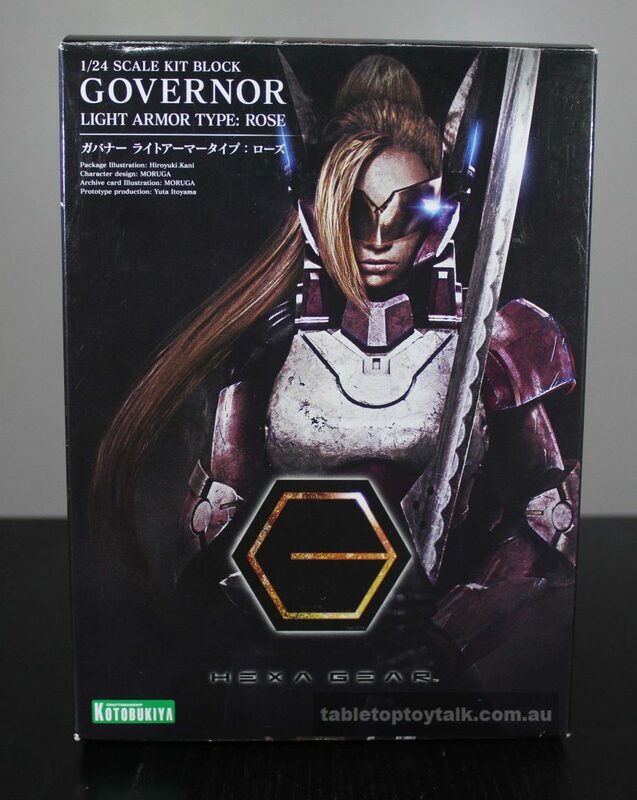 These Governor figures have a certain “designated” vehicle that they can pilot, but they seem to be pretty interchangeable between vehicles which is nice. Don’t let the advertising/promotional photos fool you – these figures are tiny, even when compared to some of the other smaller figures in my collection. Their scale comes in at around 1:24 which puts them at a much smaller size than GI Joe figures (around 1:18 scale or 3 ¾ inch size if you’re not familiar with that comparison). 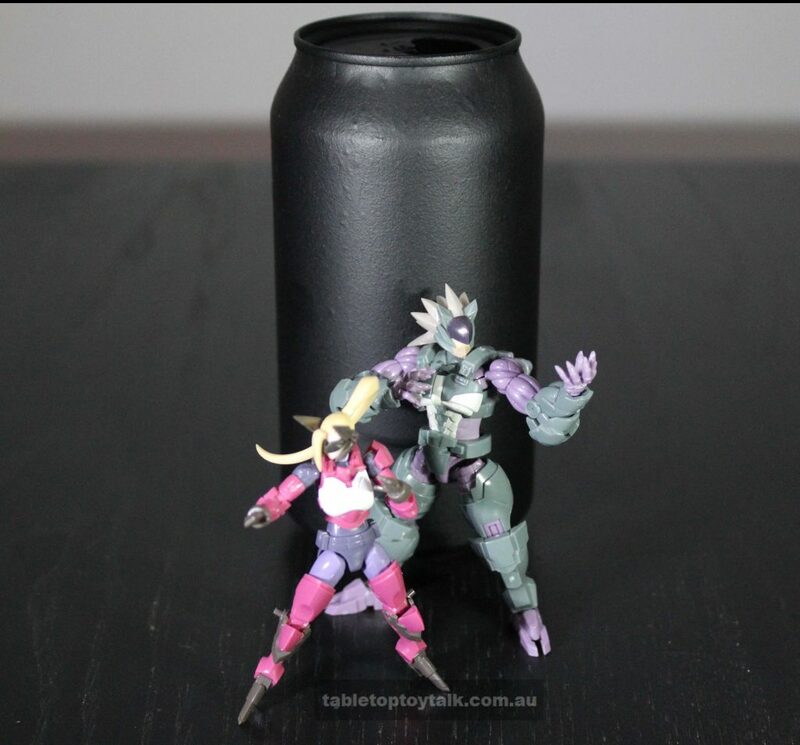 You can really get a sense for how tiny these figures are when placed next to the trusty 375mL Drink Can of Comparison. 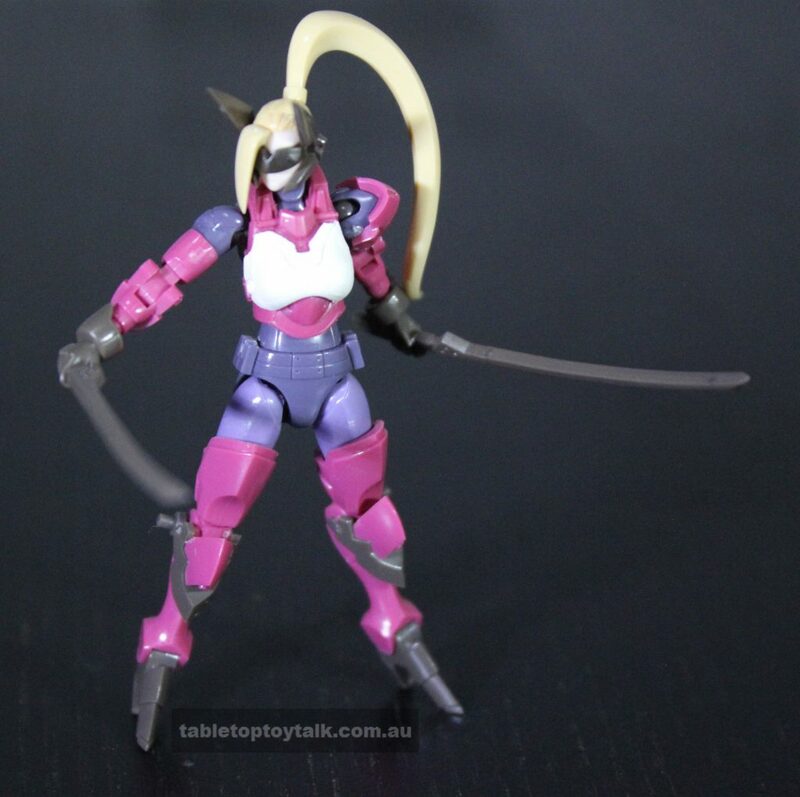 While Zoanthrope is seen as a more bulky, beast-like style unit, Rose appears to be the more speedy/nimble cyber-ninja style unit. 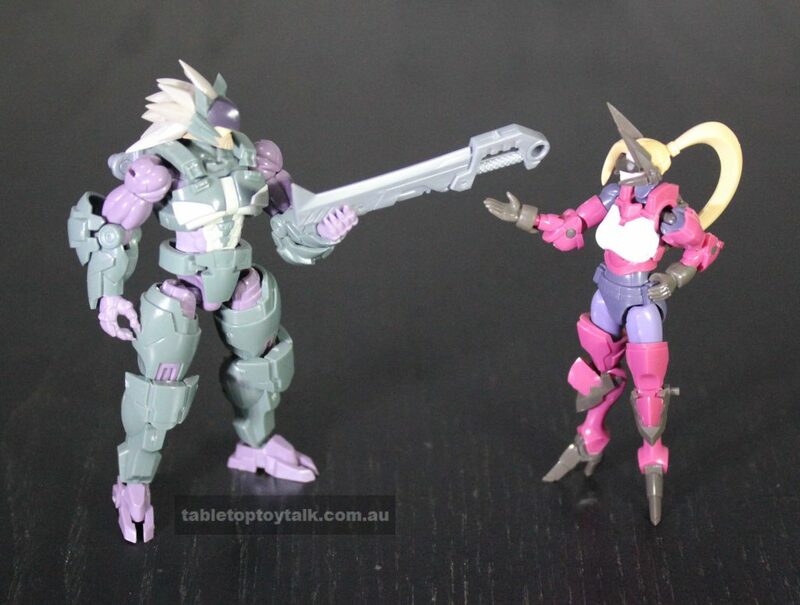 I get a real Briareos and Deunan (from the Appleseed franchise) sort of vibe with this pairing. It’s also worth noting that although these figures are quite small, they’re proving to be lots of fun. 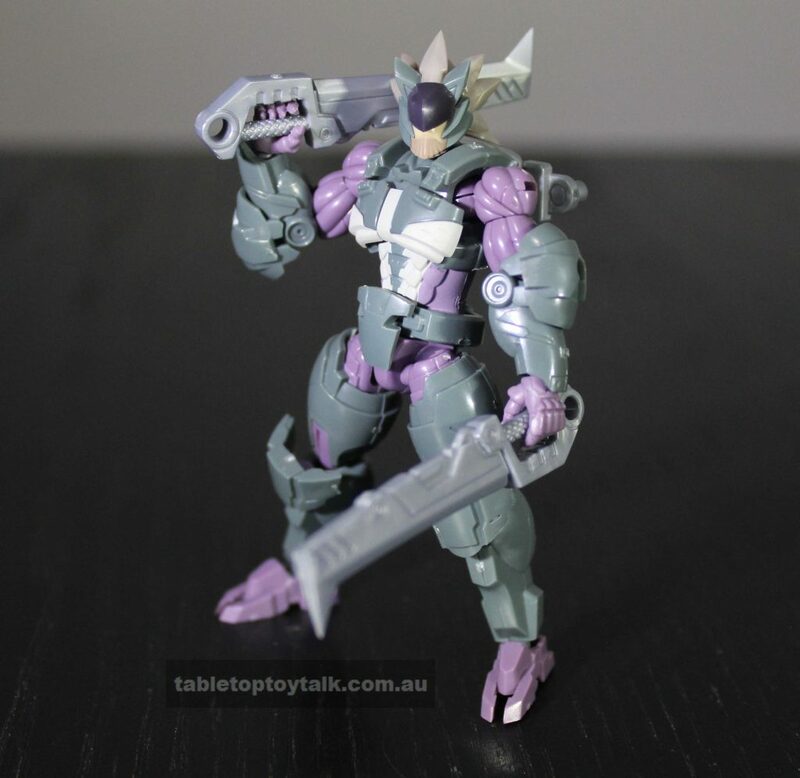 There’s plenty of detail to be had here and each figure has its own distinct style. 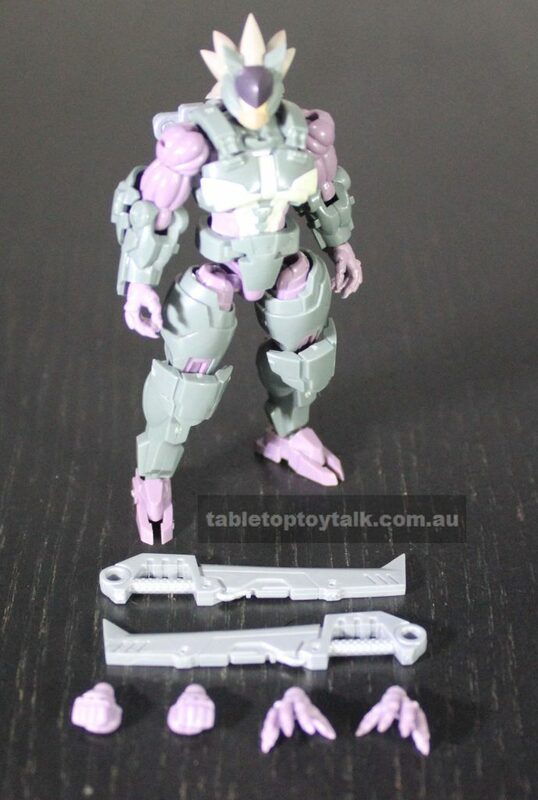 They each have a sort of mechanical/cybernetic feel to them which is pretty cool. 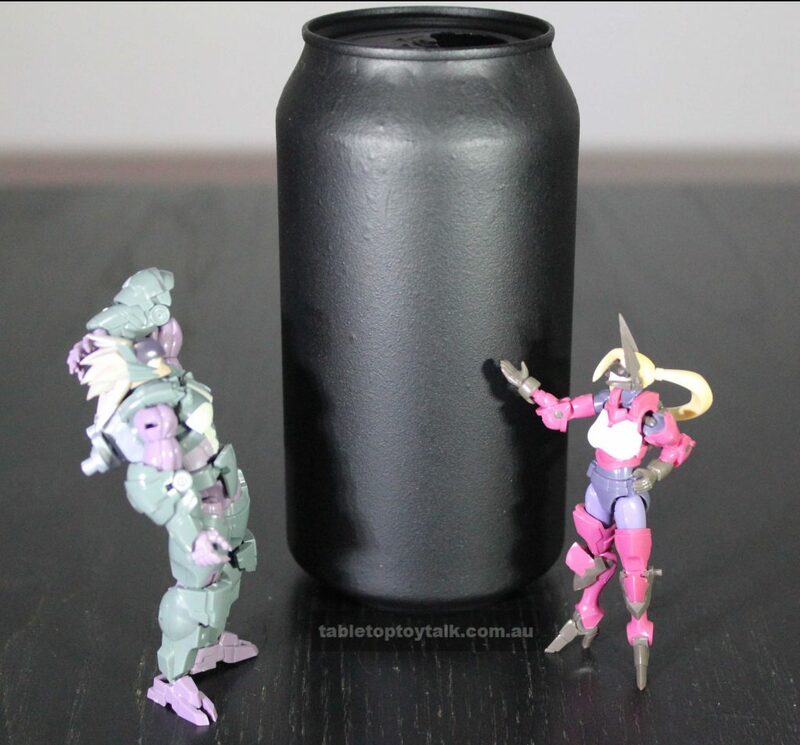 Once completed, the figures look pretty good as is, but to get the most out of them, you’ll have to apply some paint. 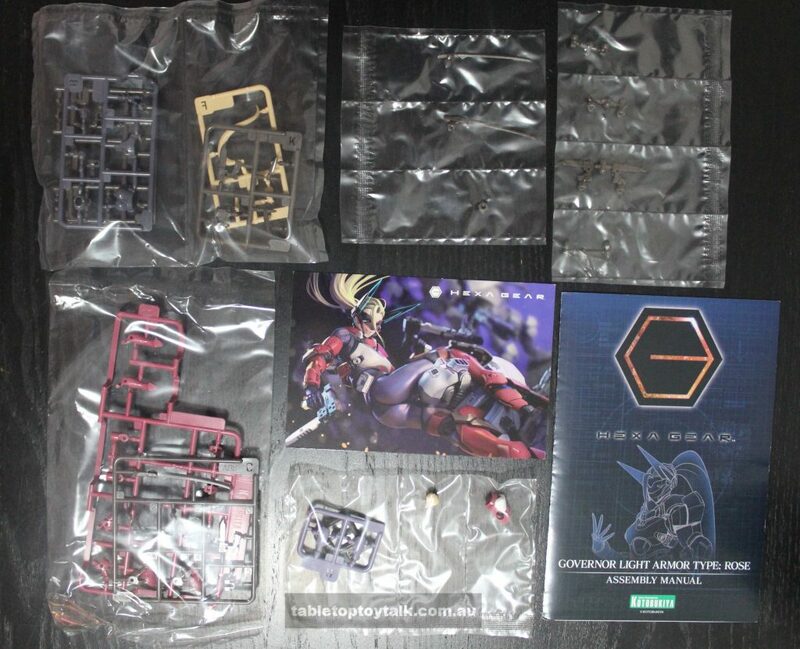 While most Kotobukiya model kits don’t require glue, I found that I did have to apply a small amount of glue to some of the more tiny/fiddly pieces to make sure they wouldn’t pop off during any routine movements. You know, I thought this thing would be smaller. 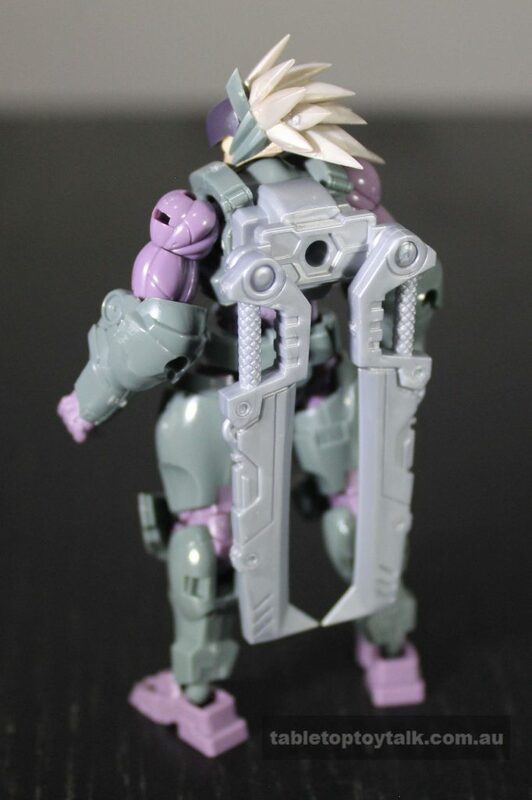 While Zoanthrope only comes with his two large sword/cleaver things, the clear winner when it comes to weaponry here is Rose. 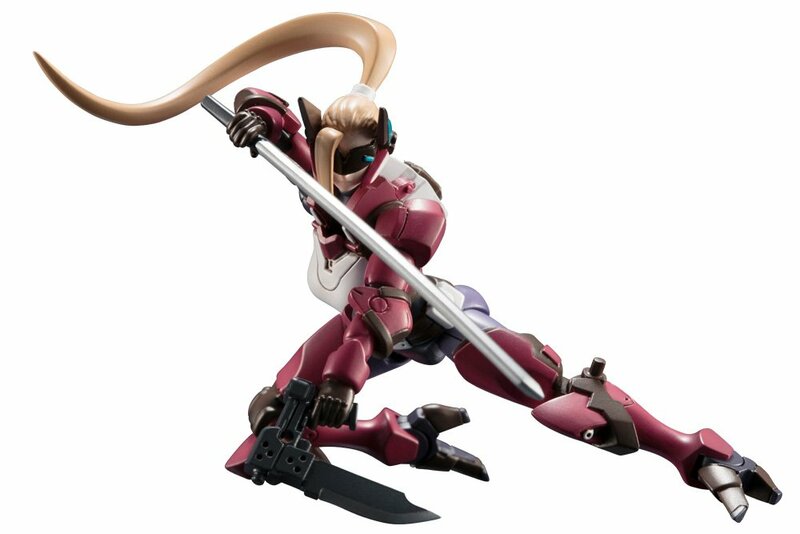 Rose comes with a katana-style sword and two bladed handguns. 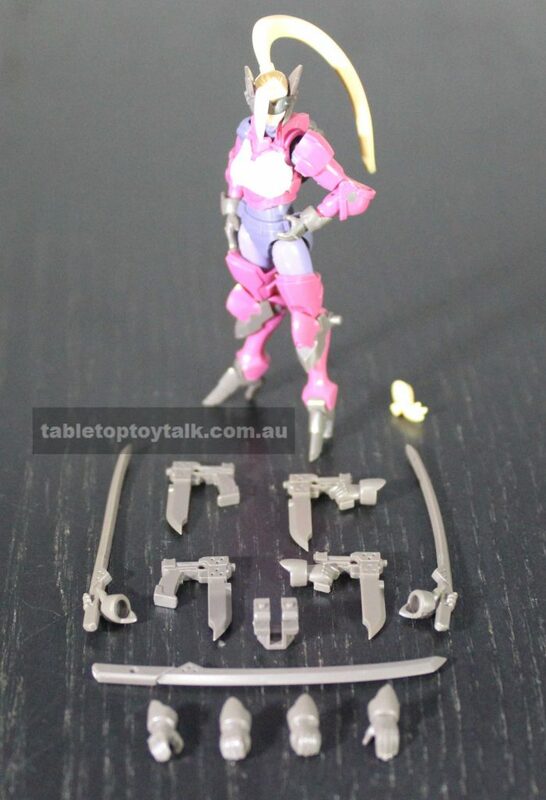 The sword and guns come as individual pieces as well as pieces that have been molded into a left or right hand. 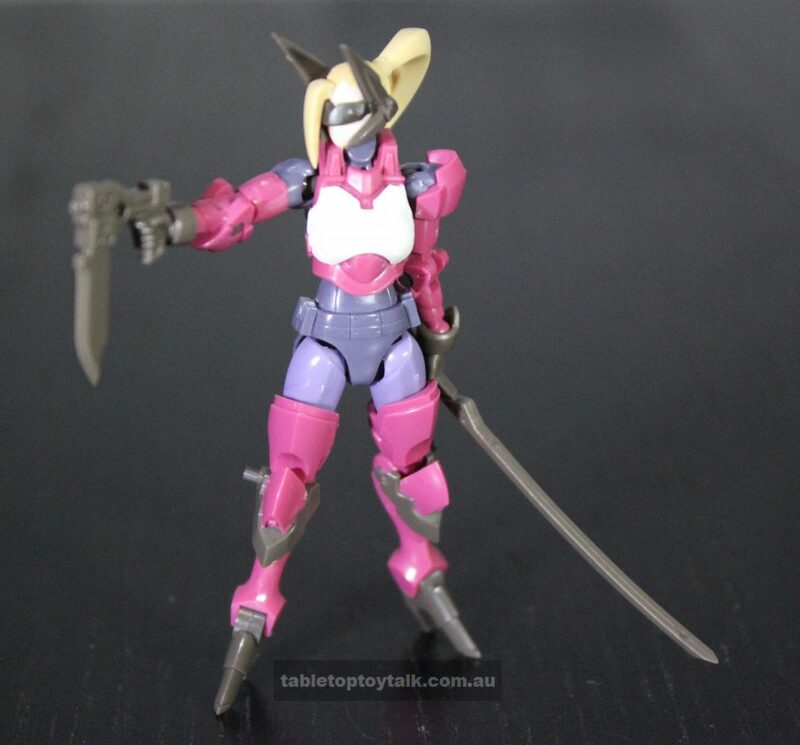 This allows for Rose to have a gun/sword combination, as well as dual-wield her weapons. 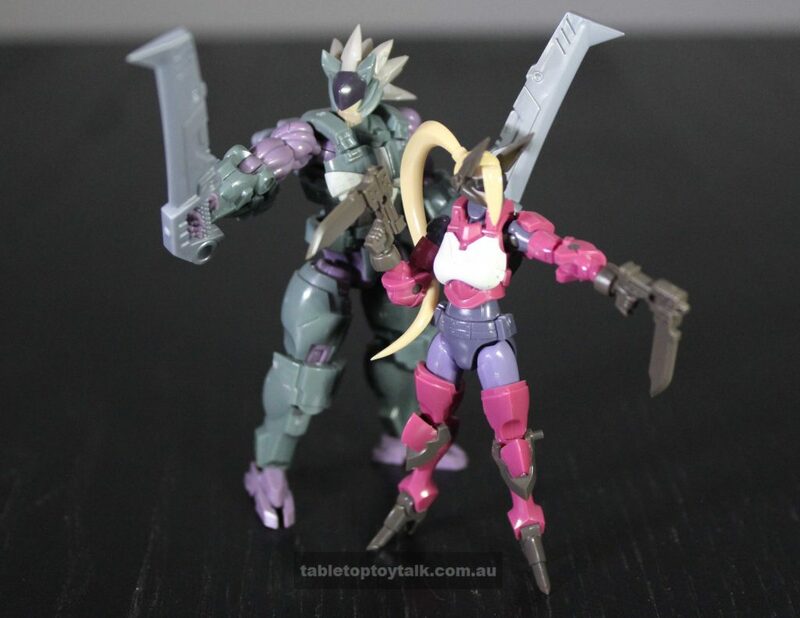 With both of Rose‘s hands full with her molded-in weapons, it allows for her to lend her spare weapons to other figures which is a handy addition. 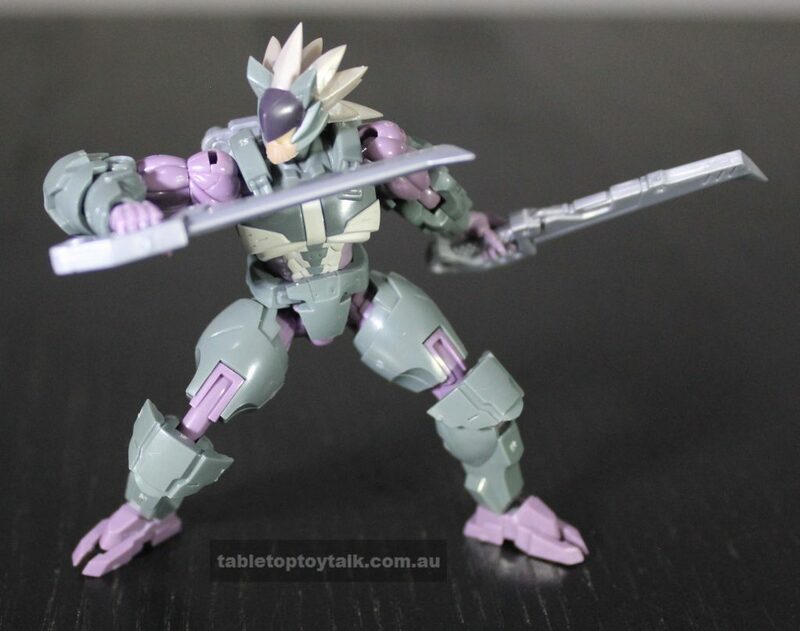 While Zoanthrope doesn’t have any molded-in weapons, he does have interchangeable sets of hands that consist of left and right weapon/item holding, open hands, and closed fists. 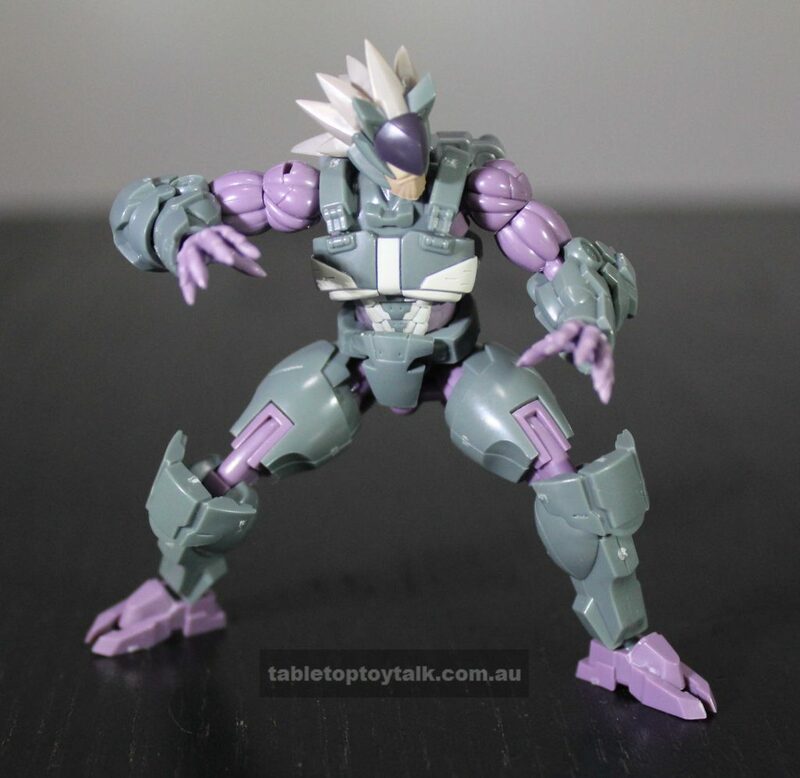 Rose also has a similar set of plain hands, except that her open hands are more flat unlike Zoanthrope’s which are more claw-like which fits in with his more beastly appearance. 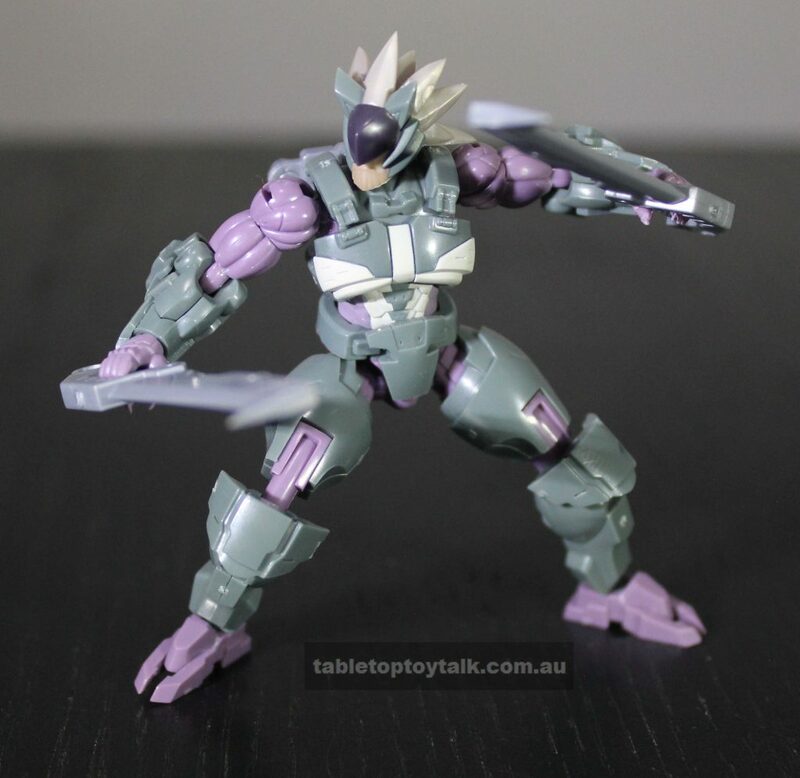 Each figure also has a hexagonal port in their backs that can be used for things such as extra weapon options, or to attach some sort of display stand (not included, unfortunately). 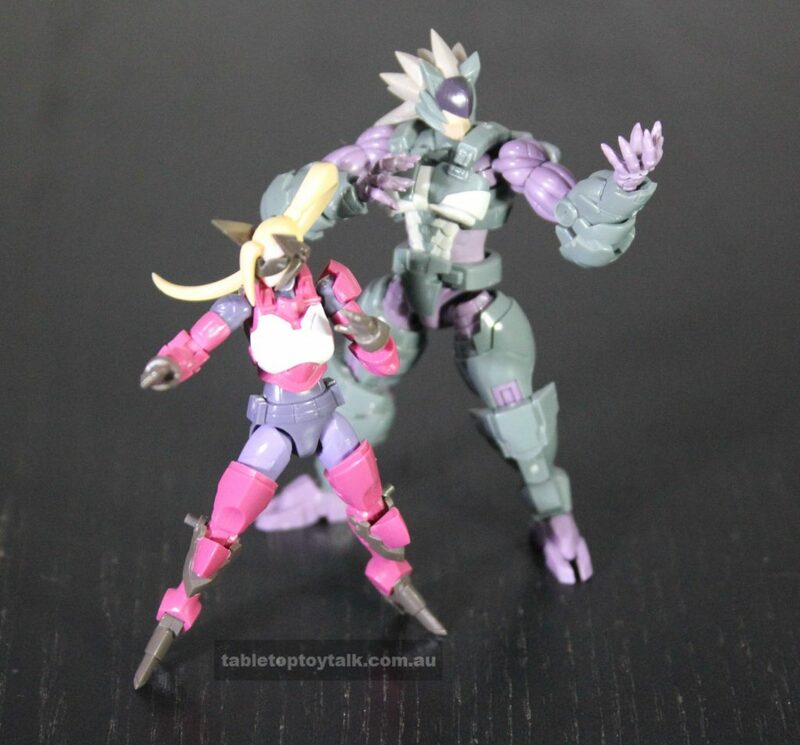 I think this is where these figures really shine. Despite their diminutive stature, these figures can be just as expressive as their much larger counterparts. 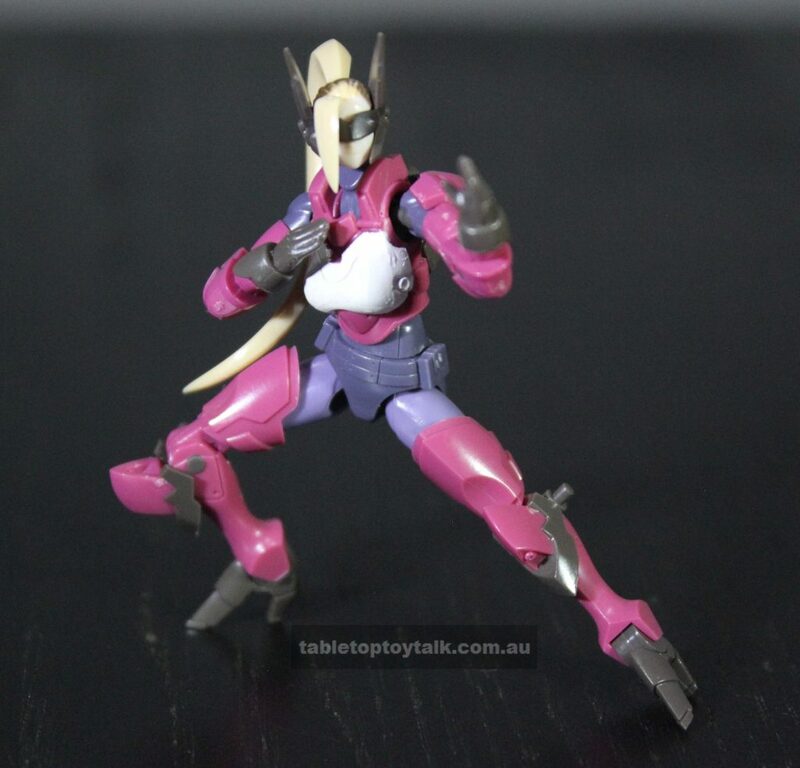 The only thing that annoys me though, is that the hands like to pop off when you’re trying to move the arms around and in to position. It’s nothing too major and it’s not a definite deal-breaker but it’s something to be mindful of. 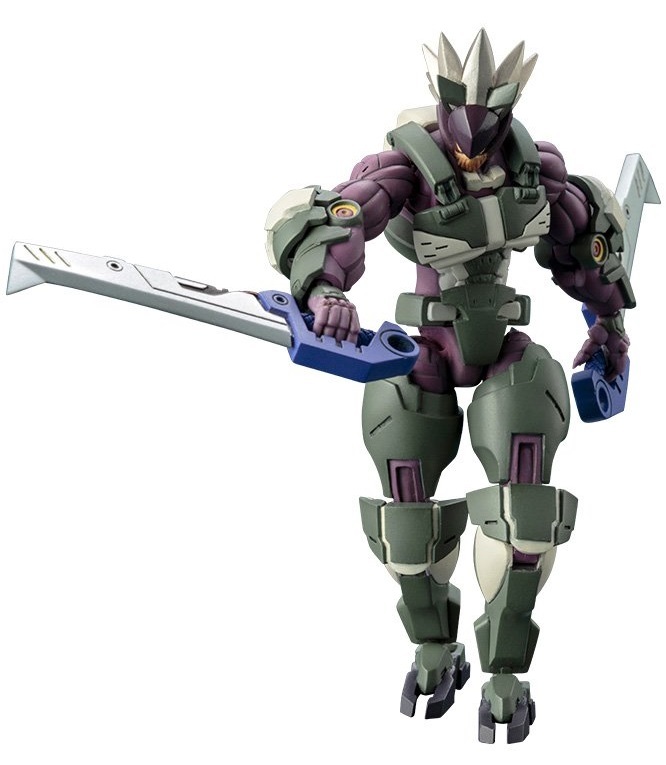 Both figures have a ball jointed neck which allows for full rotation, but only a slight tilt in the left-right and back-forward directions. Zoanthrope’s spikes/mane tends to get in the way of his head movements, while Rose’s long ponytail can also get in the way of hers. 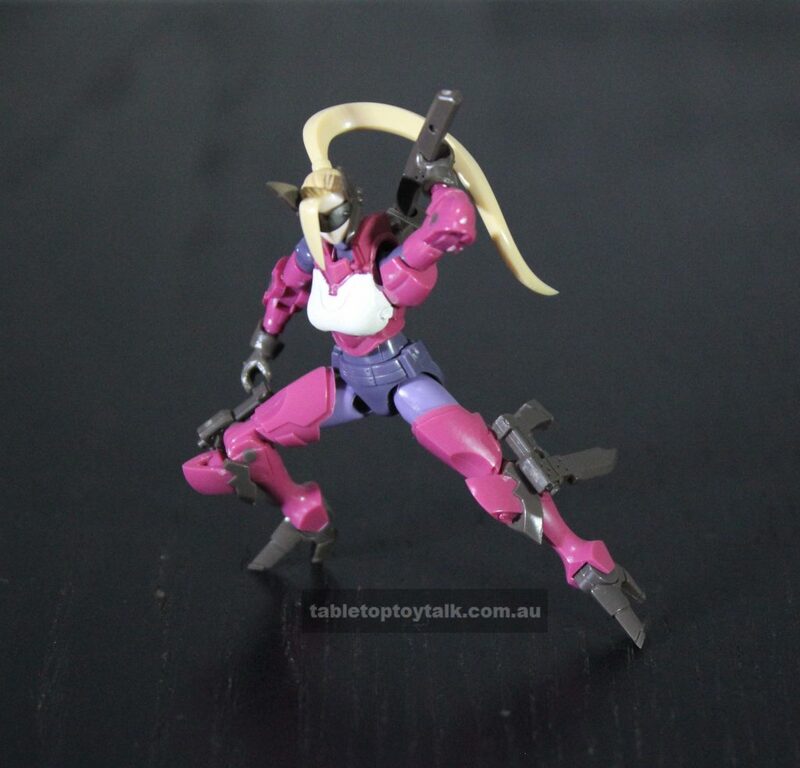 While the ponytail connects to the back of her head with a ball joint which offers some degree of articulation, there’s only so much that you can do with it due to its shape. You can always replace the long ponytail with the pinned-up hairpiece instead if it gets too annoying. 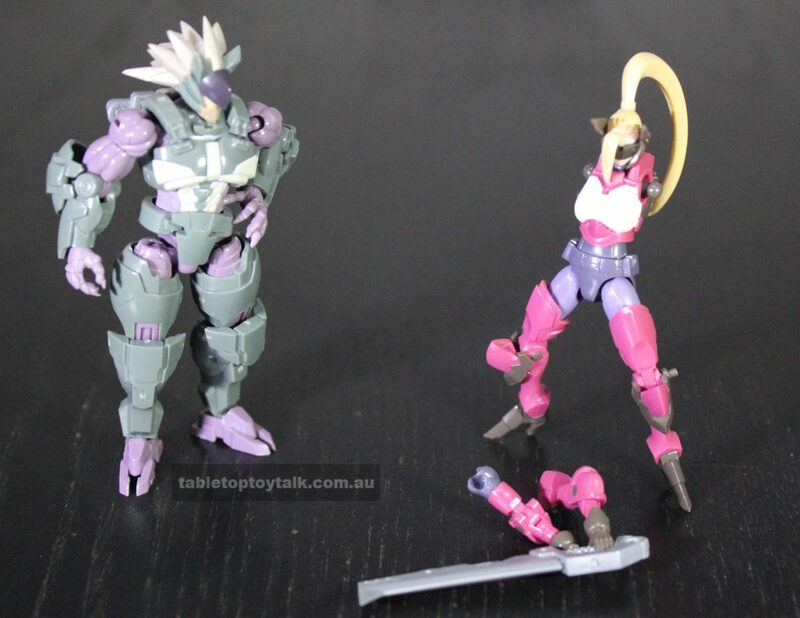 They both have ball joints at the shoulders, coupled with a bicep swivel and hinged elbows. 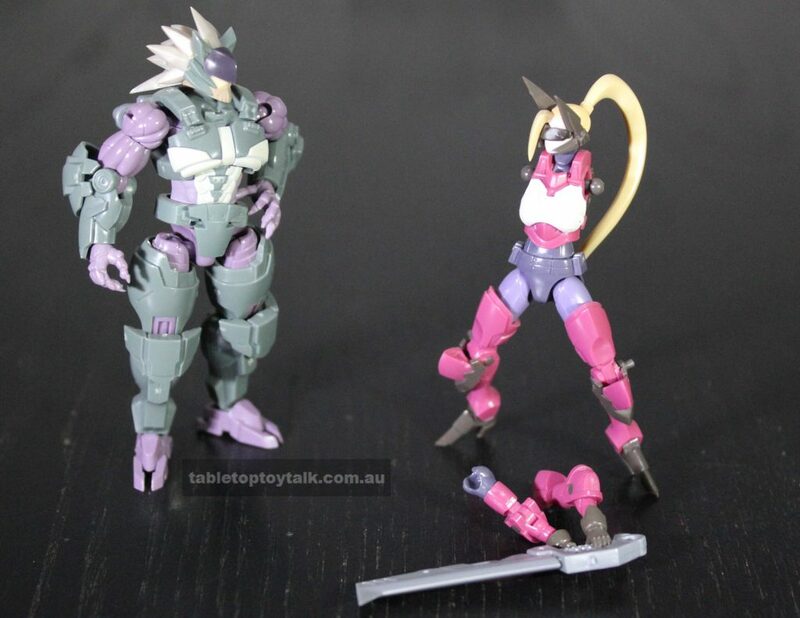 While Rose’s wrists end in a ball joint for her hands to connect to, Zoanthrope’s wrists have a socket for his hands to plug into. 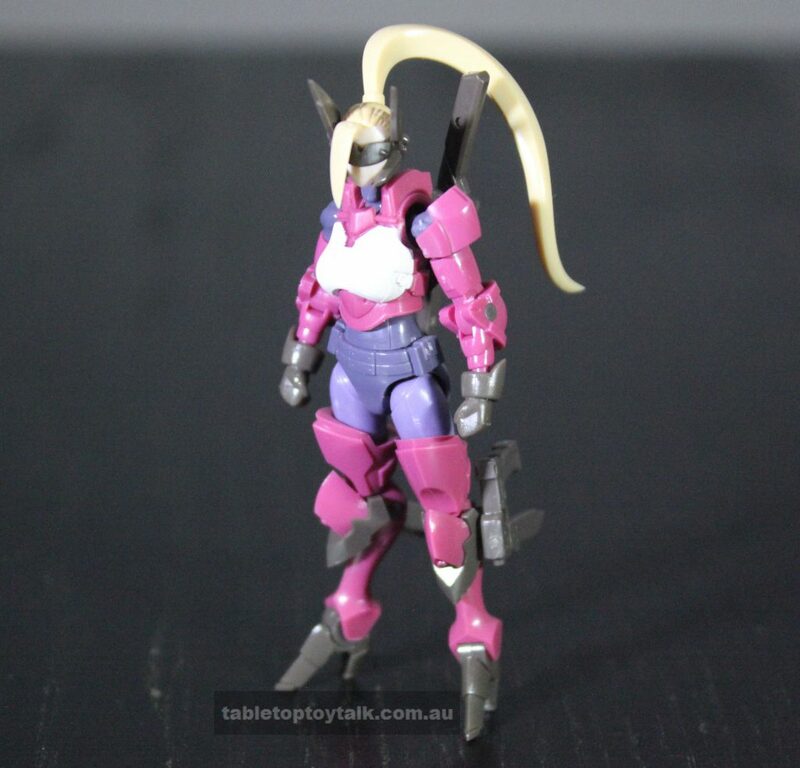 Their torsos have a dual ball joint system which connects to the upper torso and the hips. 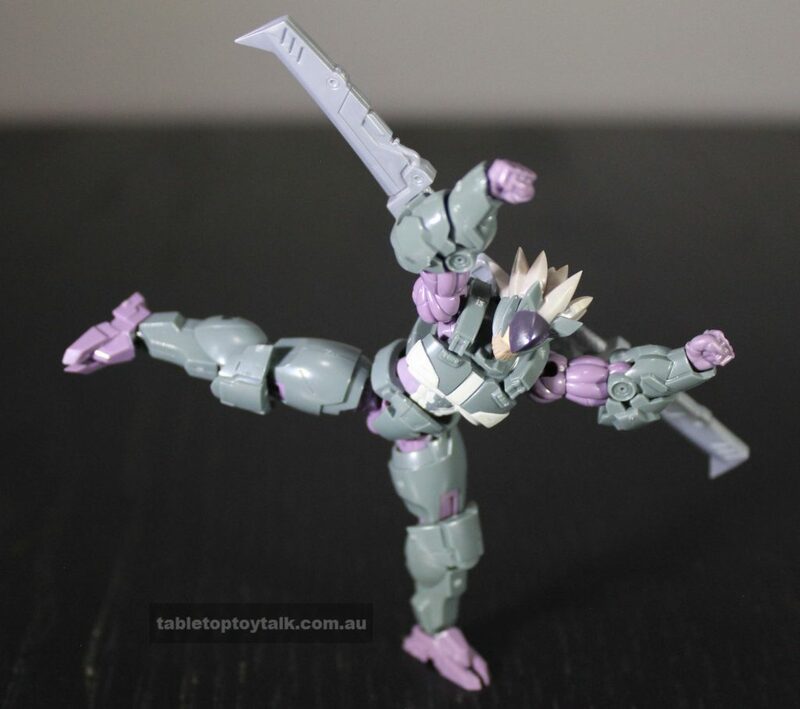 The legs connect to the hips with ball joints which offers a fairly decent range of movement (my Zoanthrope’s hip joints are a little bit loose but that’s an easy fix). 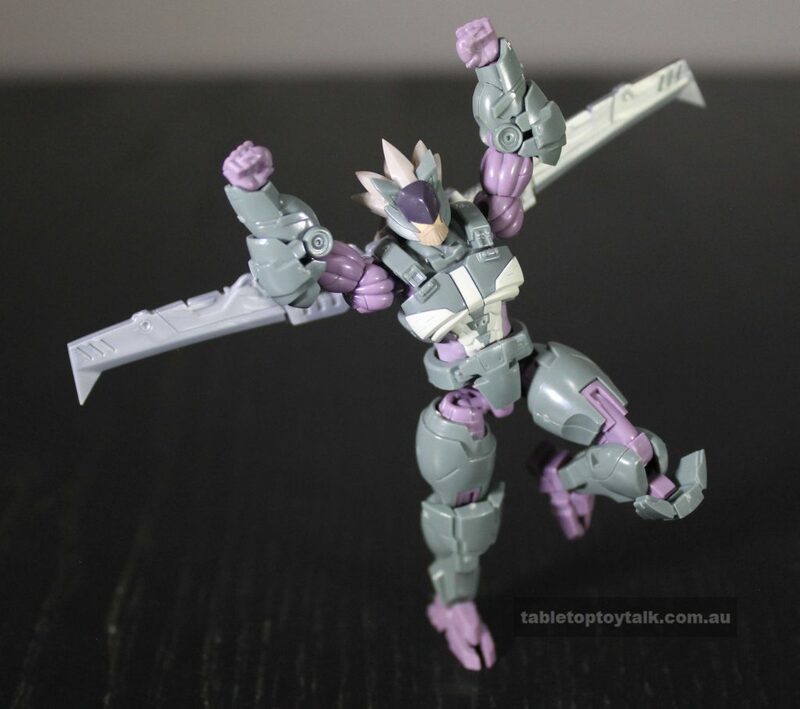 They also each have a sneaky thigh swivel hidden underneath their armour which helps with movement and posing. They both have hinges at the knees, but Zoanthrope’s ankles have a ball joint that plugs into his feet which helps him keep his feet planted for most poses, whereas Rose’s ankles just have a hinge which gives no rotation and no sort of ankle rocker to help with poseability which is sort of an odd decision considering that a decent ball joint would have been just as effective if not better. Again, it’s a minor thing and something that I wouldn’t consider as being a deal-breaker given the smaller size we have here. 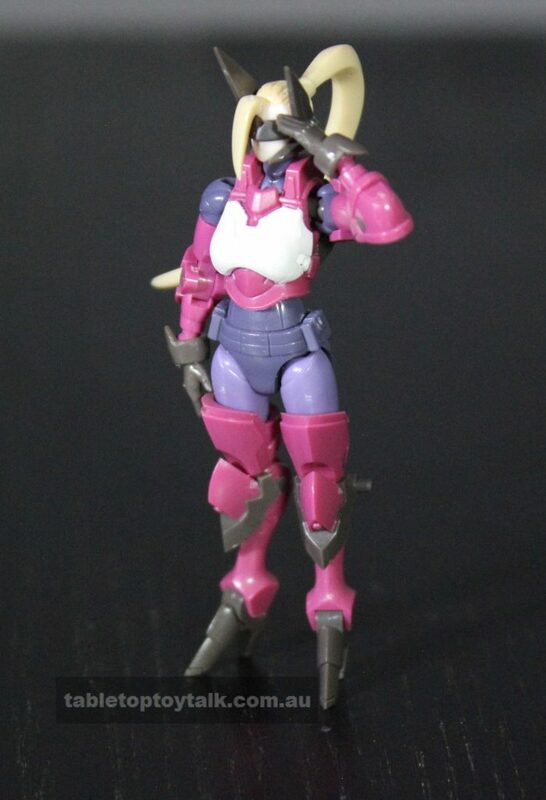 My return to model kit land has yielded a much better result than my last outing (looking at you, Ms. Siegfried!). 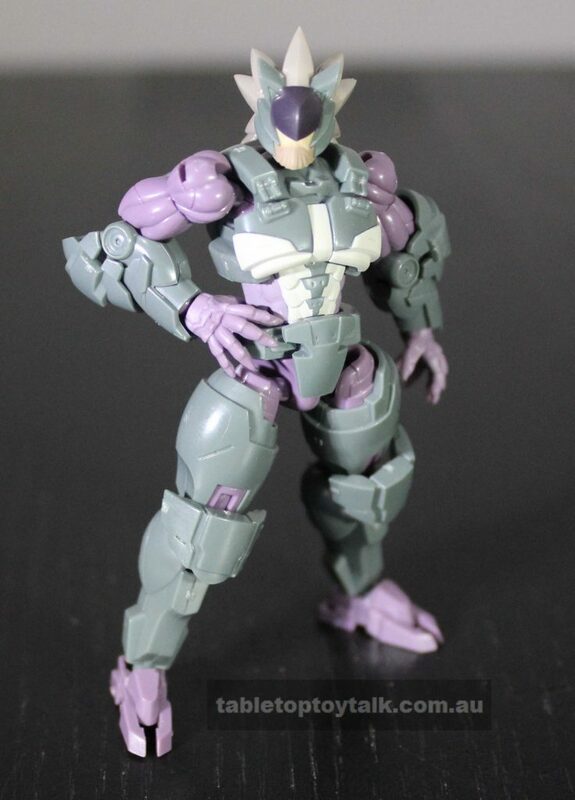 It can be difficult to find figures this size with this much articulation. 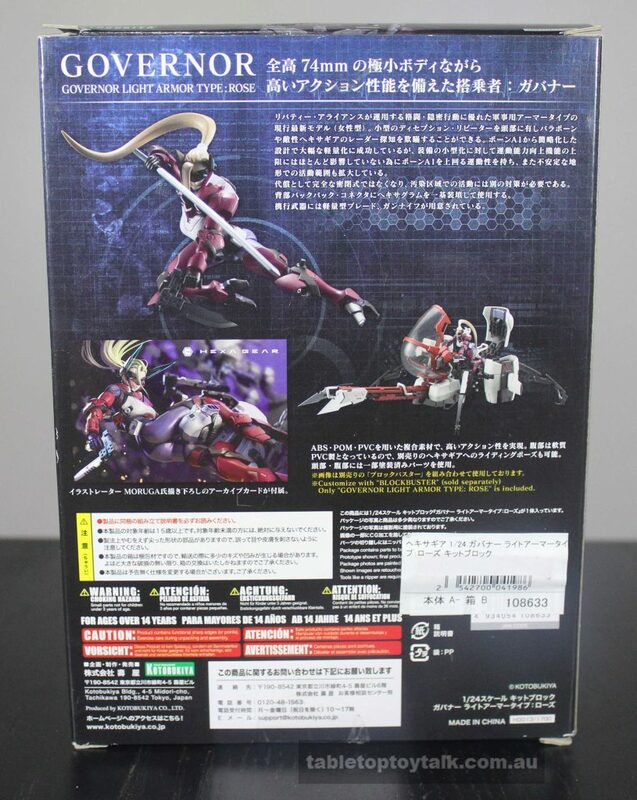 Unlike other toys/figures in my collection (e.g. 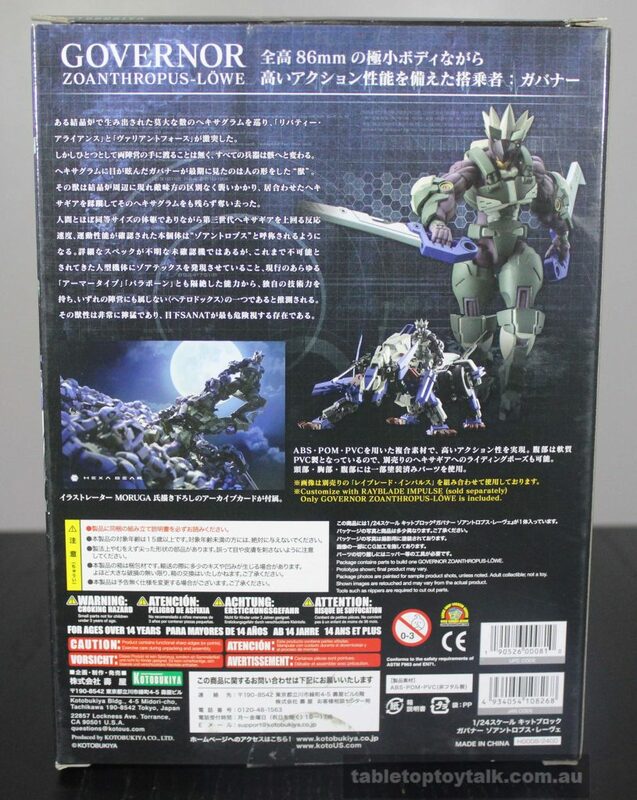 Transformers) the Hexa Gear range is more suited towards the model building fans, rather than the action figure fans. They definitely have that desktop “pick up and play” feel to them (especially since they’re pretty much dwarfed by your average desktop office supplies). Knowing what size these figures are also helps to roughly gauge how big some of their vehicles will be, which might be something for me to consider in the near future. Check it out! I’m a plane! I’m pretty happy with these figures, but again, given their small size I wouldn’t really consider them to be great value for money. I guess it all depends on how much you’re willing to spend on figures such as these, as well as your affinity towards model kits. That being said, I’ve been having quite a lot of fun with these guys and ultimately, isn’t that what toy collecting is all about? 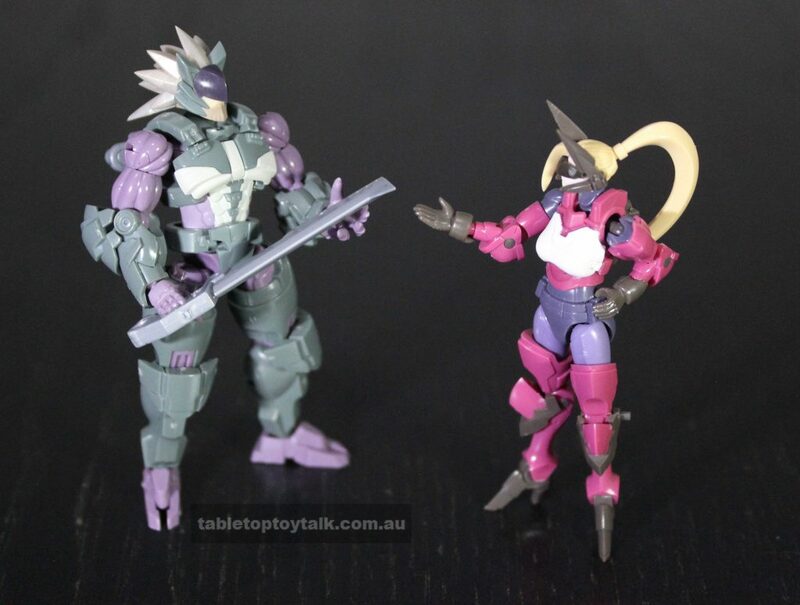 Rose and Zoanthrope can be found at the links below along with other figures in the Hexa Gear range. Mind if I have a look at that? I don’t know what you’re worried about. It feels like there’s nothing there.